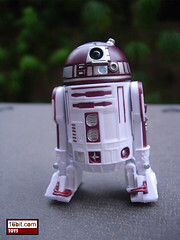 Today we look at the R5-K6 figure released this year. He may be one of the most desirable astromech droids released in years due to the widespread popularity of his battle pack which, naturally, resulted in smaller supplies. Go to Figure of the Day for the next update, with the latest installment in our ongoing series! Friend of the site Shaun pointed us to this blog post which involves some kids getting and not getting Marvel Mighty Muggs. You are welcome. Because they don't take vacations, the Transformers Collectors Club revealed a future exclusive item-- Shattered Glass Cyclonus. Based on this year's awesome Universe mold, the idea is that this is the "good" version of the character from an "evil" Universe and as such, he looks something like Hot Rod. Kinda cool, wouldn't you say? Figure of the Day has updated once again! The daily feature on figures you might have but might not-- either way, here's what you've been missing! Spanning from the original Power of the Force series of 1995 to the latest of The Legacy Collection, it's almost like a history lesson! 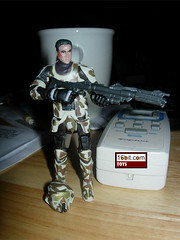 Today: Clone Trooper Boost, a figure from last Fall which looks a lot like a figure from last January. Should you add him to your armies? Go to Figure of the Day to find out! Jedi Defender posted a ton of new vehicle prototype shots showing off new features on the Cloud Car and more. Finally, Wal-Mart got in some previously unannounced exclusive Unleashed sets. Click through for images, pricing, all that stuff. The apparently exclusive-ish 8092 Landspeeder ($24.99) and 8091 Republic Swamp Speeder ($29.99) are now live to order on LEGO.com. The Landspeeder will ship within 3 weeks, but the Swamp Speeder is listed as in stock today. Universe HasbroToyShop.com Exclusives at Marshall's? Good news, everyone-- Transformers Universe Optimus Prime, Megatron, Overkill, and Drag Strip are shipping to US retail! Over at TFW2005, find a story with the details, which basically is what I just told you. Each toy is $9.99, which seems high given they were about $15 at first. Over at The Dinosaur Toy Blog take a look at this new Schleich Apatasaurus for 2008. It's big, blue, and pretty nice-- check out their rundown of what it's an interesting piece. Today we look at the Luke Skywalker from 2009-- the supposedly latest and greatest version from the original film. Is it as great as Hasbro said last Summer? Go to Figure of the Day to find out! Yet another large Bumblebee toy is making the rounds on fan sites, TFormers is just one of many to be posting S250's alleged leader-class Bumblebee. 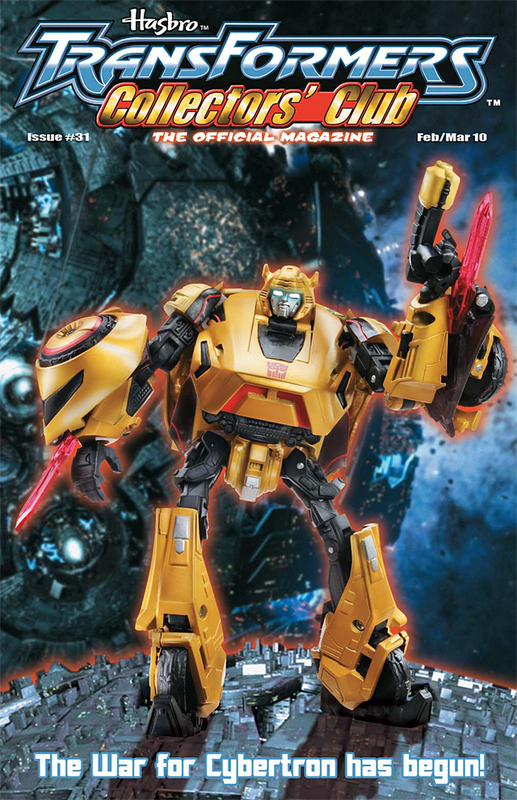 The is not to be confused with the large Ultimate Bumblebee on the shelves today, which costs a lot more and is slightly larger. Odds are Hasbro will confirm this toy next month at Toy Fair in New York City. The fine folks at BevReview are confirming a new batch of newly packaged Pepsi Throwback started shipping in December. Also note: Mountaun Dew Throwback is shipping, and some fans are already finding Heritage Dr. Pepper. The guys at Hisstank.com have pictures of what seem to be a new VAMP and new HISS, complete with test shots of the figures. Quite nice! Do check it out. Your WiiWare games this week are three. For $5.00/500 points, you can snag Fast Draw Showdown, Heron: Steam Machine, and Pub Darts. Virtual Console fans, it's Final Fight 3 (Super NES) for $8/800 points... not a particularly easy game to find! Got a DSi? Three games this week, including Animal Puzzle Adventure, Hell's Kitchen Vs., and Trajectile. These games range from 500 points/$2 to 500 points/$8. 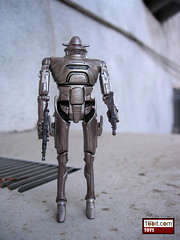 Today we look at the Concept IG-88 figure from late last year. He's based on the work of Ralph McQuarrie and generally fantastic. Go to Figure of the Day for the next update, with the latest installment in our ongoing series! Back to the Future Coming to Blu-Ray in 2010? The fine folks at The Digital Bits are "confirming" (via their rumor mill) a July 2010 release date of the Back to the Future movies on Blu-Ray. What's particularly interesting is the ad slick, with a 5-disc collection (the DVD set was only 3 discs) including an extra 3D short of Jaws 19. We are pleased, Universal Studios. 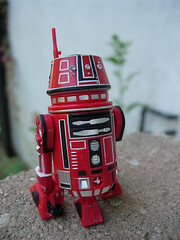 Today we look at the R4-P17 figure from late in 2009, with its clean paint job. Go to Figure of the Day for the next update, with the latest installment in our ongoing series! Also from Galactic Hunter: While sketch cards tend to be quite difficult to find, Topps sent in yet another flyer showcasing its new ones for series 5 of Star Wars Galaxy. Highlights include manga sketch cards and special die-cut cards. Neat! Click through to see their ad thing. Click through to see the announcement/advert flyer they sent us. Bif Bang Pow! Gets The Venture Bros. The rumors are true! Someone's doing The Venture Bros. in plastic. That someone is Bif Bang Pow! who, via their (and their partners') Twitter feeds, confirmed acquisition of the license and a full press release should be making the rounds today. Specific products are not yet announced, but we know what they are because we're awesome. We are in a unique position to confirm this as we are consulting on the toy line. As such, the reporting you see here may be a little filtered. Xbox 360 have two options this week, one of which has a freaking fantastic name. Matt Hazard: Blood Bath and Beyond is 1,200 points ($15) and is described as a dual-player shooter. We are interested. It's a big download, so we don't have it just yet. Also, Microsoft announced a new "Game Room" service at CES, described as a new way of downloading classic arcade games-- so it appears that the Xbox Live Arcade service is no longer accepting classic arcade games? That seems like they kinda missed the point, but whatever. According to Major Nelson: Later this Spring, 'Game Room' will come to Xbox LIVE. This is a destination for the classic arcade games. 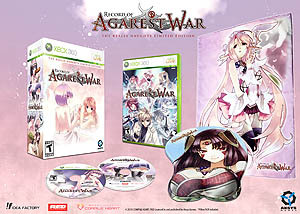 You can buy once and play on both your Xbox 360 and Windows PC. A new game will be released every week. You'll be able to invite friends through Xbox LIVE and share your custom arcade and show off your personal collection. In more fantastic licensing news, NCSX confirmed the lineup (so far) of Shooting Historica Vol. 4, the ongoing Yujin series of capsule toys based on classic shooter video games. This time around, it's going to be the Flint Lock from Xexex, the Legend Silver Hawk Burst from the just-released Darius Burst, and the X-002 from X-Multiply. We forgive them for their lack of Salamander for now. Today we look at the Padme Amidala Coruscant Attack figure from 2002, which has the former queen dressed as a Naboo Fighter pilot. Swell stuff, plus she has an exploding radar dish. Go to Figure of the Day for the next update, with the latest installment in our ongoing series! An eBay seller has an awesome transforming Grandus figure based on the stylings of the artist responsible for the show's unique look. It turns from a chunky robot to an aircraft carrier, it is really quite amazing. Check it out, while you can! First up: Gallery Ninteen Eighty Eight Los Angeles is hosting a show from January 8 through January 29, 2010 focusing on art from and inspired by Mattel's Masters of the Universe toy line. Reportedly, new toys will be revealed at this event too. If you can't make it, here is some art and here is some more. New Shooting Historica 4 News: Twinbee & More! So more news, because NCSX confirmed the that in addition to the Flint Lock from Xexex, the Legend Silver Hawk Burst from the just-released Darius Burst, and the X-002 from X-Multiply, there will be three more vehicles in the new Yujin Shooting Historica 4! The additions: X-002 - XMultiply, Twinbee & Winbee - Pop'n Twinbee, and CF-345 Black Fly - Metal Black. At least we get one new Konami vehicle, right? Hey Hasbro fans, want some good cartoon news? Shout Factory confirmed a second volume of C.O.P.S. is coming to DVD, direct to consumer! How about that? The Bif Bang Pow! Press Release for The Venture Bros. The release is in! Here's an excerpt: "Bif Bang Pow! and Cartoon Network Enterprises, the licensing and merchandising arm of Adult Swim, blast off for action with today�s partnership announcement that will bring to market a brand-new line of toys based on the popular animated series The Venture Bros. One of the most highly sought after product lines from Adult Swim�s library, The Venture Bros. collection from Big Bang Pow! will feature an array of articulated action figures, bobble heads, and vehicles, each embodying that distinctive action-comedy mix that has become synonymous with the series." Your new game this week: Matt Hazard: Blood Bath and Beyond, which you may remember being released earlier this week on the Xbox Live Arcade service. It is $14.99. Also notable, three games are on sale for less: Prince of Persia Classic, TMNT: Turtles in Time Re-Shelled, and Cellfactor Psychokinetic Wars are down to $4.99 from $9.99. This week's downloadable PSP titles are: Pinball Heroes Bundle, Bomberman Land, and Dungeon Explorer. Pinball Heroes is $9.99, the rest are $11.99. Figure of the Day has updated once again! The daily feature on figures you might have but might not-- either way, here's what you've been missing! Spanning from the original Power of the Force series of 1995 to the latest of The Legacy Collection, it's almost like a history lesson! 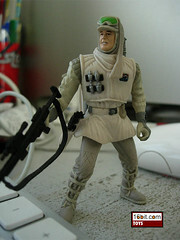 Today: Hoth Trooper, a figure from 2002 which, in 2002, was clearly not one of Hasbro's superior efforts. Is it worth getting as crowd filler or cannon fodder? Go to Figure of the Day to find out! Today's first story is that a Transformers RPMs Soundwave is coming, based loosely on the Animated version. It's unknown if this is a "movieverse" version of the Decepticon, a War for Cybertron design, or something else entirely-- but you can see it over on the Arker. Speaking of War for Cybertron, the guys at TFW2005 have images of what seems to be an upcoming Optimus Prime toy based on the game. (Another prototype of this very toy leaked a few months back, but not colored.) Check it out! And finally, balls. Like, nuts, truck nuts. An enterprising fan has developed a pair of gonads for the Movie Legends Devastator toy to make it movie-accurate. According to Nintendo via Games With Coffee the very cheap collector's set of Metroid Prime Trilogy is already out of print for the Wii. That's like not even a year-- so if you want it, go grab a copy now for all your insane grading investment scheme needs, you horrible person you. 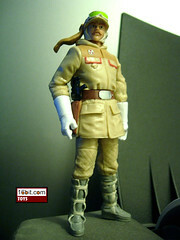 Today we look at the Major Bren Derlin from 2006-- the only figure in Star Wars to be based on a prominent actor responsible for Pixar voices, a role on Cheers, and also a postage pitchman. Is he worthy of the man who played him? Go to Figure of the Day to find out! McFarlane Toys was one of the biggest powerhouses in the 1990s when it came to the collectible action figure business, and the recent years have not been quite so kind as far as the kind of toys they're famous for making go. However, it looks like they're bringing back an old favorite, and this time she's blonder. The Mrs. Claus Figure is exclusive to EverythingMcFarlane.com and is pretty fantastic from the pictures. She will cost $29.99. This is the original court adventure that started it all and made Pheonix Wright one of the most celebrated characters in the Capcom universe. Players will collect evidence, weed through inconsistent testimonies and overcome corrupt agendas to ensure that justice prevails! Present evidence with the wave of the Wii remote or press suspicious testimonies by wiggling it. These games can be played via single-player and has multiple save slots. In addition: Also, Ace Attorney INVESTIGATIONS: Miles Edgeworth is getting a playable DS demo in a few weeks. It will be available for download on the Nintendo Channel. Stay tuned for the release date on that. And remember, the new Ace Attorney INVESTIGATIONS: Miles Edgeworth ships on February 16, 2010. Virtual Console fans, it's Shanghai II: Dragon's Eye (Sega Genesis) for $8/800 points... which nobody remembers. But if you needed mahjong on the Wii, well, there you are. Got a DSi? Three games this week, including Word Searcher, Jazzy Billiards, and the very giggle-worthy named Touch Solitaire. These games range from 200 points/$2 to 500 points/$5. Some good news today-- or news, at least-- for fans of Microsoft's console. Not only is the buzz going that this console generation may last longer than most previous generations (hooray), but we've got some nice tidbits. Xbox 360's PartnerNet service seems to show Dreamcast's Sonic Adventure as a future download-- good news? 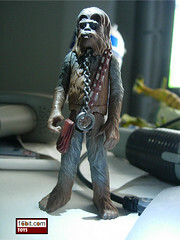 Today we look at the Chewbacca (Boushh's Bounty) figure from 1998-- and the years were not kind. He's short, a little cross-eyed, and lacking in articulation. Go to Figure of the Day for the next update, with the latest installment in our ongoing series! A new trailer for Transformers War for Cybertron is on YouTube and it looks pretty swell. Check out some new character designs like Ironhide, hear the voice of Optimus Prime and, to a lesser extent, Megatron. It's swell. Today we look at the Battle Droid (Tan) figure from a few years back with a fantastic paint job. 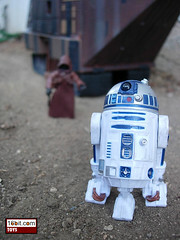 Go to Figure of the Day for the next update, with the latest installment in our ongoing series! Also, the ToyFare/Hasbro Fan's Choice Poll winners were announced and the winner is Bastilla Shan. A site called The MM Network has scans of the new Robot Masters from Mega Man 10 which is coming to the WiiWare, PSN, and XBLA services this year. Check 'em out! Blade Man, Nitro Man, Sheep Man, and more await you. Xbox 360 owners, it's time for Serious Sam HD: The First Encounter! The $15/1,200 point first person shooter is something of a classic, or was, so this new version may be worth your while. 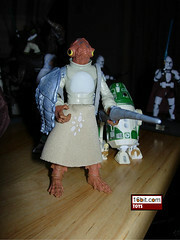 Today we look at the Mon Calamari Warrior figure from 2008, a great figure from a brief appearance in the original Clone Wars animated series. We like it! Go to Figure of the Day for the next update, with the latest installment in our ongoing series! The story from ToyFare #151 is online: "If Venture has a name, it must be Bif Bang Pow!" You have no idea how long I've been waiting to use that tag line. Greetings and salutations to all Bif Bang Pow! followers and believers of all shapes, ages and sizes! Well, as you've probably heard by now, we did it! Once again, we're bringing the people what we KNEW they always needed, toys for 'The Venture Brothers'! (If this keeps up, we'll finally give the world the James Bond action figure and vehicle line it's been dreaming of). This week's downloadable PSP titles are: Luxor: The Wrath of Set, and the PSP Minis game Dynogems. This is not a particularly robust week for Sony as no new PS3 titles were launched. Figure of the Day has updated once again! The daily feature on figures you might have but might not-- either way, here's what you've been missing! Spanning from the original Power of the Force series of 1995 to the latest of The Legacy Collection, it's almost like a history lesson! 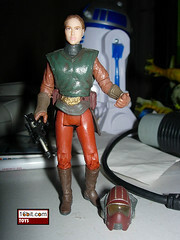 Today: Commander Faie, a figure from the comic packs that looks a heck of a lot like the Kashyyyk troopers. Is he more than a figure with a new head, oor is that exactly what this is? Go to Figure of the Day to find out! Also, Wizard World has pics and a contest for Hero Factory, which is the successor to Bionicle. At first glance, these basically just seem like slightly more ornate Bionicle toys, but with names like "Natalie Breez" and "Duncan Bulk." (At least it's less complicated than "Gali Nuva.") Check it out. 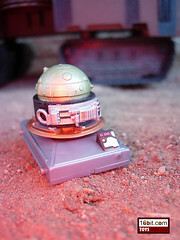 Today we look at a Security Droid from 2009-- the tiny droid from Star Wars that looks almost like a little astromech droid. How is it? Go to Figure of the Day to find out! 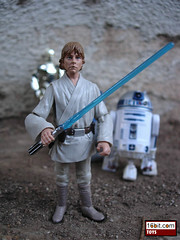 Also check out Endor Express for a glimpse at a new Hasbro Jedi Mickey and R2-MK action figure set. We love it already. We're sure you will too. Some great news today-- if you're a shooter fan. 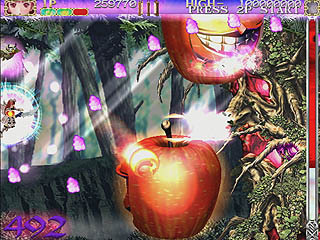 The odd (but sidescrolling) Cave shooter Deathsmiles is coming to the USA courtesy of Aksys Games. We're suckers for shooters, so we're probably going to have to overlook the fact it doesn't have any space ship and, for some reason, features overly young Japanese maids. It sold very well-- apparently Japanese sales estimates were 10,000 units and they actually moved 50,000, which sounds like peanuts, but apparently this is something of a success. Whatever, if you can blow stuff up and it's 2D we're interested. The publisher was previously responsible for US releases of BlazBlue and some Guilty Gear games, which means it's entirely possible this game might have some fancy-pants release. No word yet on how fancy its pants will be. Digital Toys has shots of a new USB Cheetor, a repaint of the existing Ravage/Tigatron mold. Adorable! 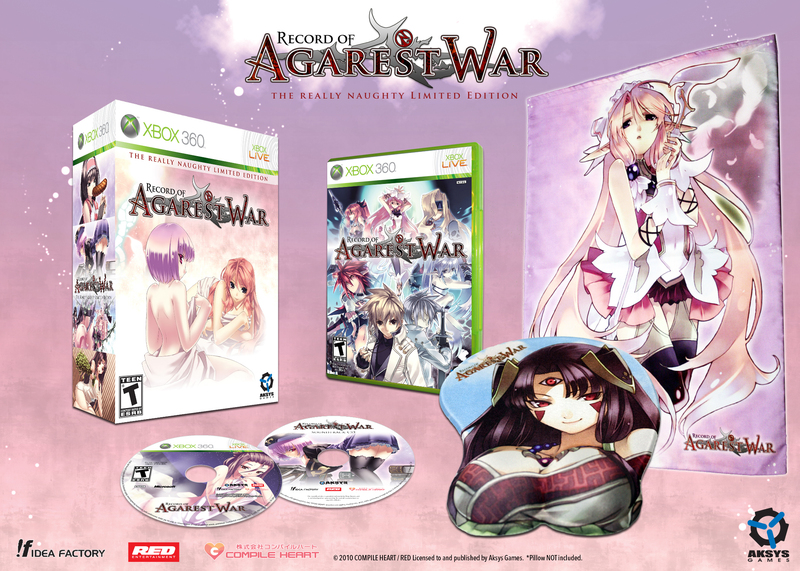 It's estimated to be $44.95 and will be released this May. Next up: Amazon Japan posted a ton of images of the Japanese Transformers Animated line, which basically means these are more metallic looking than their cartoony US counterparts. Interesting, but we prefer the Hasbro originals. Your WiiWare games this week are two. The Amazing Brain Train is $6/600 points, and is yet another indie brain training game. Namco Bandai's Muscle March, on the other hand, is anything but typical for an American release. There are muscular guys. We're not quite sure if this is meant to be ironic-- we're assuming it is-- because it has a playable polar bear in it. Virtual Console fans, it's Shadow Dancer: The Secret of Shinobi (Sega Genesis) for $8/800 points. It's a ninja classic! Sort of. Ninjas! Dogs! How can you go wrong? Got a DSi? Four games this week, including Dark Void Zero (a new fake NES prequel), Starship Defense, Chronos Twins, and Me and My Dogs: Friends Forever. All the games except for the latter are 500 points/$5. Me and My Dogs: Friends Forever is $8/800 points. 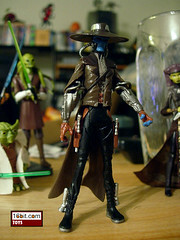 Today we look at the Cad Bane figure from last year. It's one of very few bounty hunters in the new cartoon line, but he's got a swell hat. Go to Figure of the Day for the next update, with the latest installment in our ongoing series! Because everyone needs a sidekick, the Transformers Collectors Club exclusive Dion figure will come with Cop-Tur, named for the Go-Bots Renegade character. Nice! He's a repaint of Jolt from Transformers Universe 2009, which was actually not the best mold in terms of holding together. Hopefully this release will be improved. It's happened before, and it probably means that this is going to be a weak first half. HissTank.com has an internal letter for Wal-Mart toy departments basically confirming that Rise of Cobra is very last season. A pity, but it's not like much of anything new has really come out of Hasbro lately for this brand. 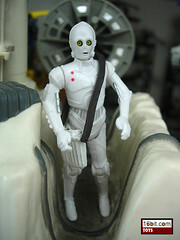 Today we look at the K-3PO (Hoth Recon) figure from 2008. 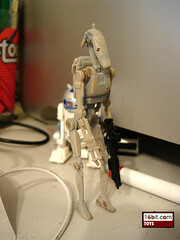 It has more articulation than any other K-3PO, which would be more impressive were it not only the second release. Go to Figure of the Day for the next update, with the latest installment in our ongoing series! Another famous Coco (and Birdstuff and Starcrunch) will be reforming to play South by Southwest which is another in a very brief serious of reunions-- the last being, by our count, at a Touch & Go festival. So who's going? Xbox 360 owners, it's time for Vandal Hearts: Flames of Judgment! The $15/1,200 point RPG brings the Konami franchise into the world of downloads, we suppose, with some new user mechanics and stuff. Also new is the awesomely titled Death By Cube, a Square-Enix puzzler action game thing which has some sort of multiplayer too. Color us intrigued. It's $10/800 points. Not so much astounding as it is expected, Square-Enix confirmed the first two games in its classic series are coming to iPhone, with some slick new interface thing for touching that looks more like Sierra's and LucasArt's games. Neat! We think. 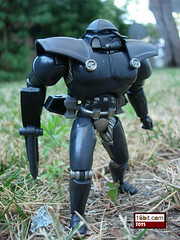 Today we look at the Dark Trooper figure from last year's build-a-droid line, a huge figure from Dark Forces. Clearly, if you were smart, you bought one by now. But are you smart? Go to Figure of the Day for the next update, with the latest installment in our ongoing series! The fine folks at TVShowsOnDVD.com confirmed that Song of the Cloud Forest, one of the second half-hours of The Jim Henson Hour, is coming to DVD. You might recall this as the crazy colorful environmental one with the frogs. Unfortunately, it is not Dog City, which was awesome, and is similar to the Fox Kids cartoon of the same name. (Although the Jim Henson Hour one is packed with numerous fantastic gags.) Anyway, enjoy your frogs, hippies. Your new game this week: Vandal Hearts: Flames of Judgment, which you may remember being released earlier this week on the Xbox Live Arcade service. It is $14.99. This week's PSOne game is Championship Bass for $5.99. Existing games are also on sale-- highlights include Braid for $7.49, Uno for $3.99, and Critter Crunch for $3.49. This week's downloadable PSP titles are: METAL GEAR SOLID PSP Bundle for $29.99, DJ Max Fever, and Valhalla Knights 2: Battle Stance. The puzzler Kurulin Fusion is also on sale for the low price of $2.49. We will be posting a review shortly, and that's about in the ballpark of what you might want to pay for it, and Thexder Neo, which we totally dug and is well worth the reduced price of $4.99. Figure of the Day has updated once again! The daily feature on figures you might have but might not-- either way, here's what you've been missing! Spanning from the original Power of the Force series of 1995 to the latest of The Legacy Collection, it's almost like a history lesson! 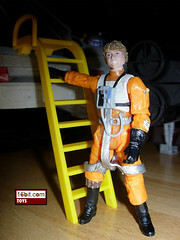 Today: Luke Skywalker (X-Wing Pilot), a figure from Comic-Con last year. Is the ladder and goofy grin worth the premium price? Go to Figure of the Day to find out! Mega Man 10 Achievements: Capcom Says "Die"
Gaming site Xbox360Achievements.org posted the achievements for Mega Man 10, due out soon. They're very much like those from #9-- some are identical, and most are seemingly as hard if not harder. So yeah, give up hope now. A few weeks ago we posted some shots of a German flyer for upcoming blind packaged LEGO figures-- and some kind soul on Brickset posted a nice big clear shot of the first batch. Check out a zombie, cheerleader, caveman, crash dummy, and several others. We are impressed. Also, reports from the new Fan Club Magazine are coming in reporting that the toy of War for Cybertron Bumblebee has been revealed! Wow. We'll probably see it for ourselves at Toy Fair in New York, or the digital news equivalent. 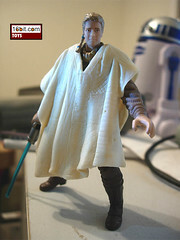 Today we look at a Anakin Skywalker from 2002-- the figure isn't much good as a pilot or as a display piece goes, but he has lots of fun bells and whistles built in. Is this enough to warrant picking him up? Go to Figure of the Day to find out! In a pleasant surprise, the TransFormers Club posted shots of War for Cybertron Bumblebee in robot mode on their web site. It looks like a cross between the "Classics" toy, only slightly more... futuristic, perhaps? We're basically already sold on the line. Check it out. Chunklet has a new interview up with Man or Astro-Man's Birdstuff, who actually has had a lot to do with the magazine itself over the past many years. It's a great interview, packed with details about the band's opinion of their work, which you don't hear much. Or ever. Your WiiWare games this week are: "Aha! I Found It!" Hidden Object Game (500 ponts), bittos+ (800 points), and Uno (1,000 points). Why this Uno is more than the other versions, we don't know. Virtual Console fans, it's Ghoul Patrol (Super NES) for $8/800 points. Got a DSi? Three games for you. For 200 points each are AiRace: Tunnel and Escapee GO!, with a 500-point Number Battle bringing up the rear. 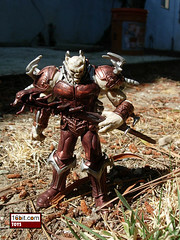 Today we look at the Yuuzhan Vong figure from last year. It's one of the biggest figures in the line, certainly one of the bulkiest. Is he worth buying? Go to Figure of the Day for the next update, with the latest installment in our ongoing series! Most Preposterously Great Xbox 360 Special Edition Ever? 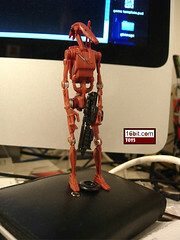 Today we look at the Battle Droid (Red, Slashed) figure from 2007ish. It's not what you'd call the best version, but it was cheap-- you got two for the price of one. Go to Figure of the Day for the next update, with the latest installment in our ongoing series! For some reason Hasbro gave UGO an early look at two new toys from the upcoming War for Cybertron game which is probably going to be out this year. Check out Megatron and Optimus Prime (pictured), who will be joining Bumblebee and presumably others on the toy shelves this Fall. Xbox 360 owners, it's time for KrissX! (Or "Kriss Cross," a crossword puzzle.) The $10/800 point puzzler from Konami and Blitz Arcade is notable not only because it's... well we haven't played it yet, but it was a speedy download-- under 30 megs. Very unusual for the service these days, we're quite eager to give it a whirl. After selling out in mere minutes last year, Mattel's next run of Masters of the Universe Classics Skeletor has arrived and, at press time, is still available. (This is unusual as many figures tend to sell out in under a day.) If you want one, you might want to go ahead and grab one while you can. Today we look at the Talon Karrde figure from one of the best runs the comic pack line had to offer. Is it worth it? 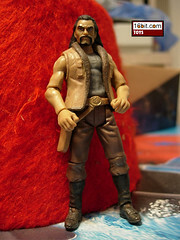 Go to Figure of the Day for the next update, with the latest installment in our ongoing series! The fine folks at The Brother Brick got the 2010 LEGO Color Pallette, a potentially useful document for all you customizers out there. Check it out! Universe Seaspray Coming, In XL! Over at Transformers at the Moon is a great report from UK Toy Fair. Highlights: Universe Ultra Seaspray, new Legends Minibots, and a whole bunch more. Read the report and drool! Also, Target stores-- some, not all-- are marking down a number of exclusive toys. We found a Revenge of the Fallen Legends 5-pack for $4.98. As such, happy hunting! Your new games this week: Assault Heroes, Thexder Neo, and Hustle Kings. Each is $9.99. This week's PSOne games are Extreme Pinball and Hi-Octane:The Track Fights Back, each for $5.99. This week's downloadable PSP Minis are: Dracula � Undead Awakening, Pinball Dreams, Route 66, and Deflector. Each is pretty cheap-- all are under $5 except Pinball Dreams.